iMATCH (Innovate Manchester Advanced Therapy Centre Hub) is a Manchester-based consortium focused on scale-up of activity in ATMPs, aiming to improve access to ATMPs for patients, while ensuring their efficient and safe delivery. iMATCH is made up of The Christie and Manchester University NHS Foundation Trusts, University of Manchester, and nine commercial partners (AgenTus, Aptus Clinical; AstraZeneca (dECMT), Asymptote, Immetacyte, Chaucer Life Sciences, Datatrial, Formedix and Christie Pathology Partnership (CPP)). 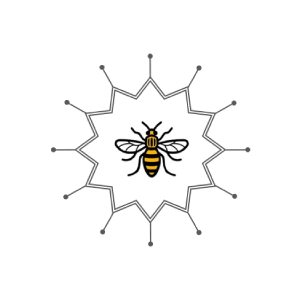 Manchester is exceptionally well placed to take a leading role in solving for the complex requirements of scale-up of ATMP due to its large population of 3.2M, devolved Health Care System, thriving biotechnology sector and existing frameworks for innovation, adoption and dissemination (through Health Innovation Manchester, HInM). 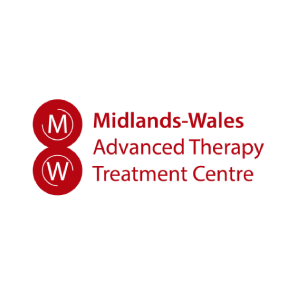 There are established centres of clinical excellence in ATMP trials with active trials portfolios in both adult and paediatric ATMP programmes in multiple disease types including cancer, haemaglobinopathies and metabolic diseases, ensuring that the solutions and best practices developed can be applied in multiple settings. 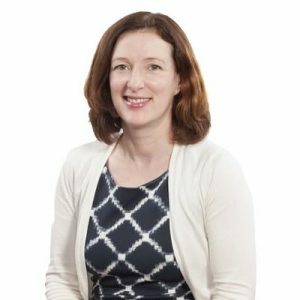 Dr Fiona Thistlethwaite is a Christie NHS Foundation Trust Consultant and iMATCH director with active clinical trials research portfolio of early phase trials in particular immunotherapy. Her research focuses on how the immune system can be harnessed against cancer, in particular using adoptive cell transfer of T-cells activated against cancer antigens. Treats over 40,000 patients with cancer each year and is the largest single-site cancer centre in Europe. The Christie serves both the local population across Greater Manchester and Cheshire of 3.2 million people and patients referred from across the UK. As well as housing the world’s largest early phase clinical trials unit, it became the first UK centre to be officially accredited as a comprehensive cancer centre. The Christie also has its own School of Oncology (the first of its kind) enhancing the education and knowledge of healthcare professionals across the country. Is one of the largest acute Trusts in the UK. Located within MFT are the Paediatric and Adult Haematology and Bone Marrow Transplant Units, who collectively perform approximately 180 transplants per year. The units have a strong research track record which includes clinical experience in CAR-T cell therapy; two trials are currently recruiting patients. The Paediatric Unit is a centre of expertise for metabolic diseases, which is a growth area for HSC gene therapy (Phase I/II trials of autologous HSC-GT are funded and will start in Manchester in 2018). Is one of the largest universities in the UK with an annual turnover of £500 million, over 9000 staff and 30,000 students (of which 7500 are postgraduate students). There are hundreds of specialist research groups undertaking teaching and research of international significance and houses the University of Manchester Clean Room. The University’s research ‘beacons’ are examples of pioneering discoveries, interdisciplinary collaboration and cross-sector partnerships that are tackling some of the biggest questions faced by society and cancer is one of the five beacons. AgenTus Therapeutics is focused on the discovery, development, and commercialization of breakthrough “living drugs” to advance cures for cancer patients. At AgenTus, our plan is to move rapidly to the forefront with powerful adoptive cell therapy platforms that offer competitive advantages over current approaches, based on unique target, receptor, and cellular platforms. AgenTus employs naturally-derived and engineered receptors, specifically T Cell Receptors (TCRs) and Chimeric Antigen Receptors (CARs), designed to supercharge human immune effector cells to seek and destroy cancer. AgenTus also aims to advance adoptive cell therapy formats which would enable off-the-shelf living drugs. 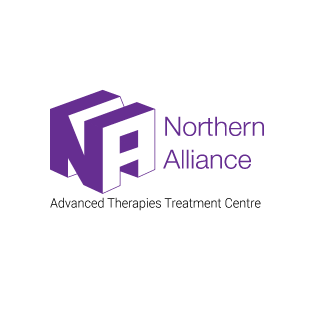 Is a niche contract clinical research organisation focussed on oncology, rare diseases and ATMPs. The Aptus team are dedicated drug development professionals with extensive industry experience and a proven track record in the design, conduct and delivery of innovative drug development programmes. AstraZeneca, as joint partner and key collaborator in the iDecide programme, which is currently being delivered through the digital Experiential Cancer Medicine Team (digitalECMT) at CRUK MI, will contribute to the development of a Decision Support System (DSS) to support clinical interpretation and utilisation of cytokines and other clinical data in predicting patients who will develop a cytokine storm secondary to immunotherapy. The DSS will adopt a data centric approach combined with clinical logic, to create algorithms to highlight risk in patients. Specialises in the development and supply of consumables and equipment for cryopreservation. In April 2017 Asymptote was acquired by GE Healthcare as part of their Cell Therapy division. Asymptote will deliver a validated liquid nitrogen free end-to-end supply chain from manufacturing to patient delivery, applicable for both autologous and allogeneic ATMP treatments. This will reduce the cost of the supply-chain infrastructure necessary, which could be rolled out to other cell therapy centres. Is a clinical stage immunotherapy company focused on using patients’ own T cells – Tumour Infiltrating Lymphocytes (TIL) to fight solid tumours. TILs are at the centre of Immetacyte’s product portfolio and our next-generation products leverage our understanding of TILs as we develop therapies that have potentially better efficacy, further IP, milder pre-conditioning regimens and finer control. We manufacture TIL therapies at our GMP facility using our proprietary process. Our modular facility is capable of rapid and low-cost scale-up and scale-out. TIL will provide an exemplar cell therapy to validate the tracking, clinical and logistics systems being developed as part of the project. Is a consulting organization focused on delivering data driven change within Life Sciences and Health organizations. Chaucer bring a team of professionals with experience of drug development operations and technology to support the innovative use of data in life sciences. Is a ‘Software as a Service’ company based in Newcastle upon Tyne with over 15 years’ experience collecting and managing data from clinical research. Is a leading supplier of clinical trial automation software and services based on standards developed by Clinical Data Interchange Standards Consortium. Companies using Formedix software coupled with end-to-end clinical data standards from form design through to submissions have seen a 70% reduction in the time and cost of both study set-up and dataset conversions. Is a joint venture between The Christie NHS Foundation Trust and Synlab which provides pathology services to support the routine and specialist work undertaken both at the Christie and within the North West region. Synlab is a large provider of Pathology services across Europe. CPP will support this bid by providing expertise in the handling and storage of cellular products.